TravStar1 Point Of Sale SystemContacting Fiscal Support Contacting Fiscal SupportHow Do I Check the Status of a Service Request in the Client Access Portal? How Do I Check the Status of a Service Request in the Client Access Portal? 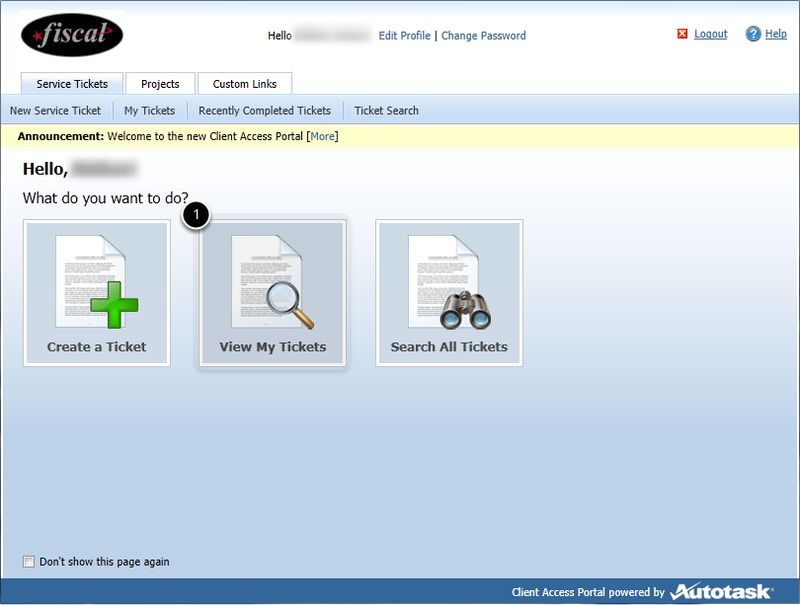 This lesson will teach you how to check the status of a ticket submitted into the Client Access Portal. Click on the link provided in the email, or type the URL, ww5.autotask.net into your browser address bar. Log into the Client Access Portal. (1) Click on the "View My Tickets" button. (1) Click on the ticket from the list to see the ticket Status. (2) Shows any work that has been done on this ticket. 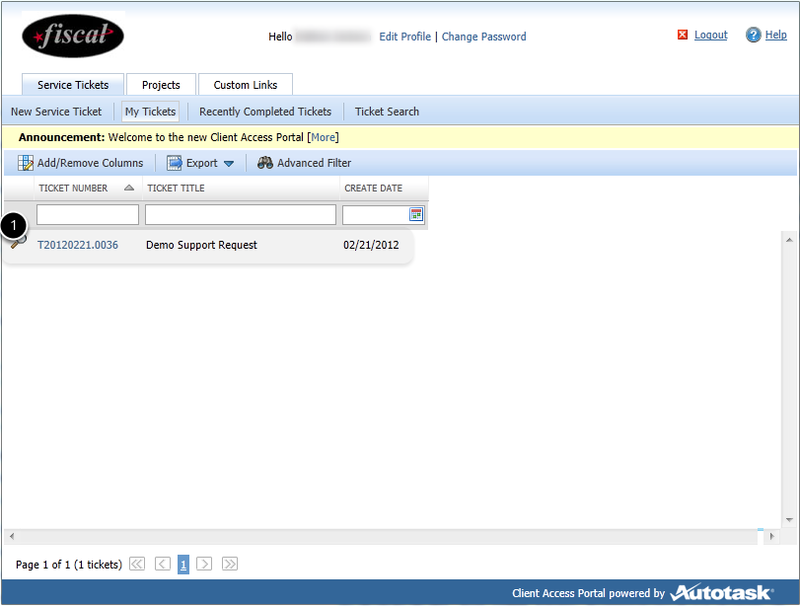 Prev: How Do I Create a Service Request Using the Client Access Portal? 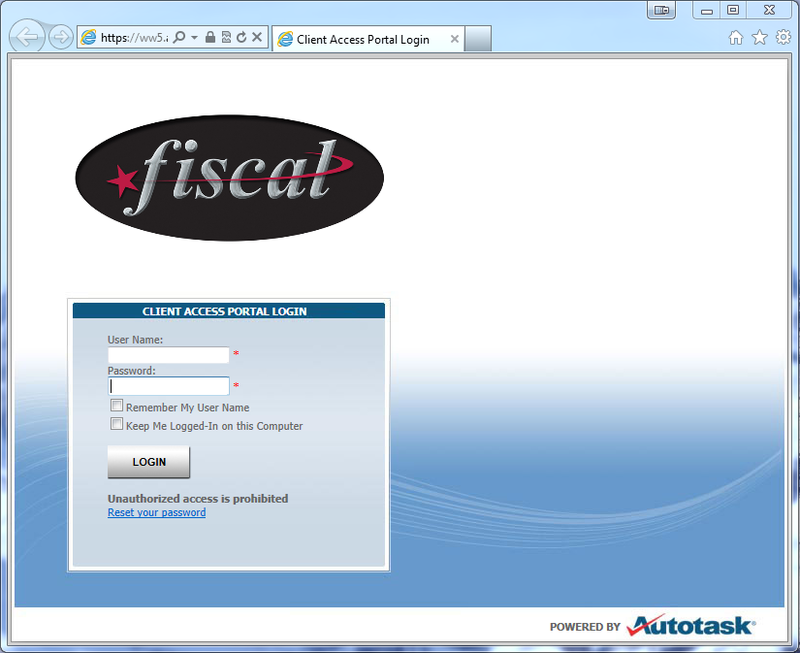 2.1 How Do I Contact the Fiscal Systems Support Desk? 2.2 How Do I Access the Client Access Portal? 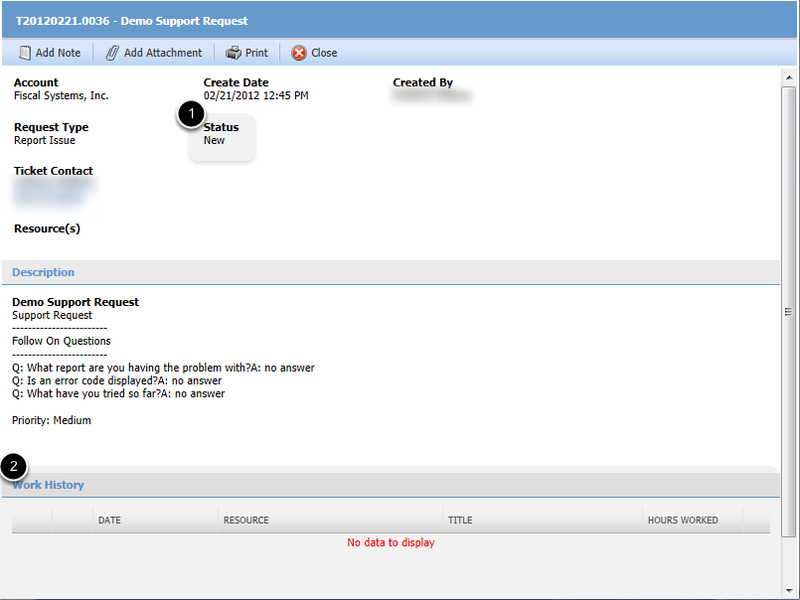 2.3 How Do I Create a Service Request Using the Client Access Portal? 2.4 How Do I Check the Status of a Service Request in the Client Access Portal?